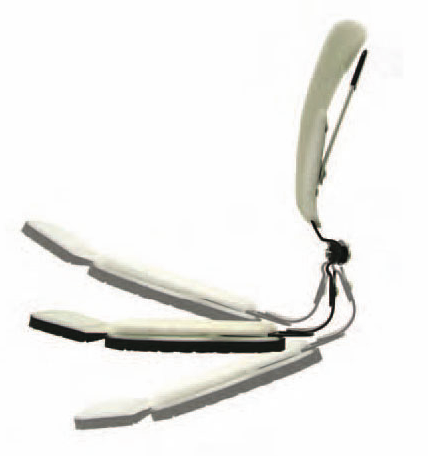 The 652SKG (APU) design allows easy adjustment of plantar flexion/dorsiflexion. The 652SKG or APU® Articulating Ankle/Foot Orthosis is an Adjustable Posterior Upright design that provides the clinician with a more precise, simplified, and calibrated method of setting the optimal dorsi/plantar flexion angle. This setting of the optimal angle is done by simply loosening the 2 adjustment screws, repositioning and then retightening the screws. Like all of our Articulated posterior upright designs, you will eliminate any pressure to the medial/lateral aspects of the malleoli that typically can be attributed to double jointed systems. 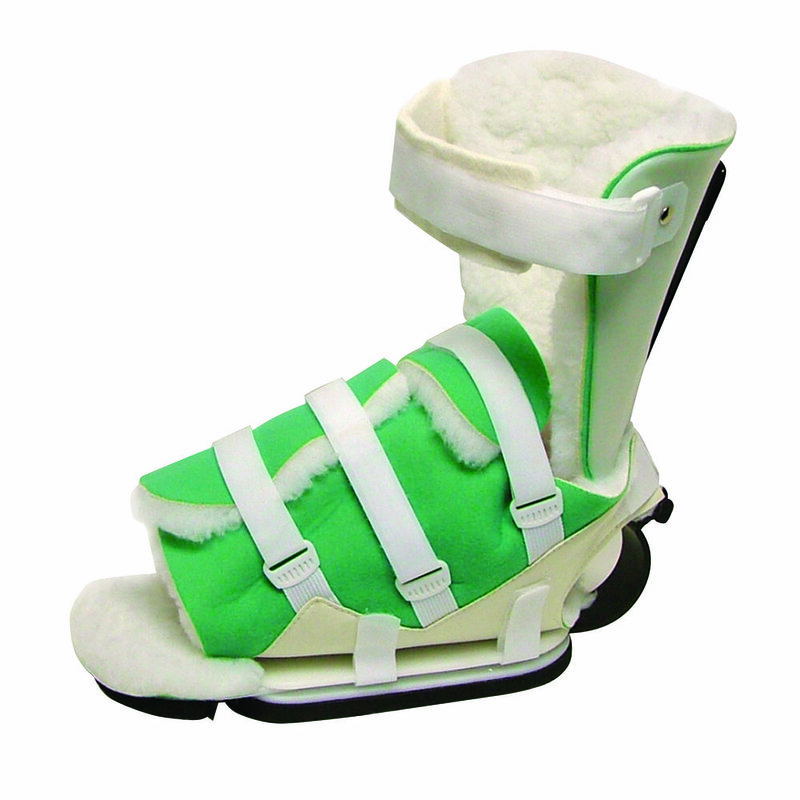 The APU® Orthosis structure is also available for inclusion in custom made thermoplastic AFO and KAFO systems. NOTE: The posterior ankle strap is shown inside theupright in some of the photographs. When fitted properly, the strap is outside the posterior upright bar.